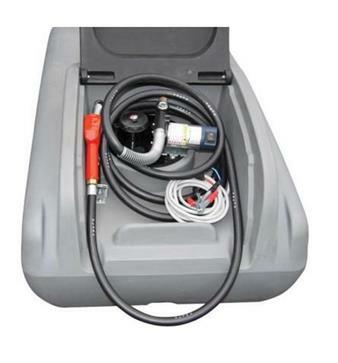 – 800 litre tank capacity. 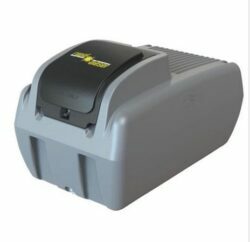 – UV stabilised diesel grade polyethylene tank with 15 year warranty. 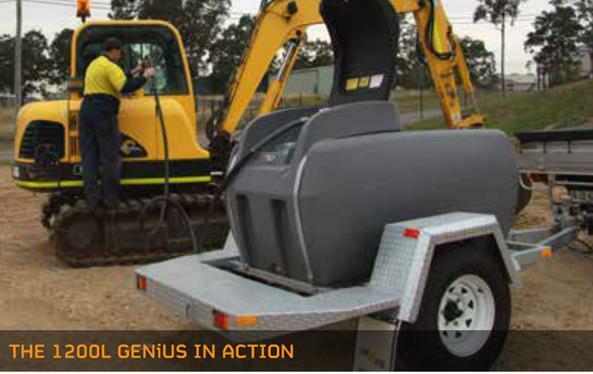 – Impact resistant with built-in Flexi Link technology. – Italian made 45 lpm 12 volt Fluid pump, with 2 year warranty. 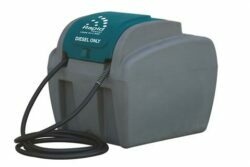 – Auto shut-off dispensing nozzle (prevents over filling). – 6 Metres of anti-kink delivery hose. – 4 Metre battery connector cable. 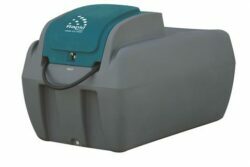 – Lockable pump cover lid for added protection & security. – Filler cap with strainer & safety chain. – Heavy duty Galvanised steel trailer frame. – 15 inch rims with high quality all-terrain road tyres. – Hydraulic brakes with manual hand brake. – Heavy duty leaf spring suspension, with excellent ground clearance. – 50mm tow hitch, jockey wheel & mud flaps. – LED lights & reflectors. – Ball Baffle system for extra stability. – Australian made by Rapid Spray. – Full manufacturers warranty & after sales support. – Pump upgrade to the Fluid 60 & 80 L/min 12 volt. 24 volt. or 240 volt. 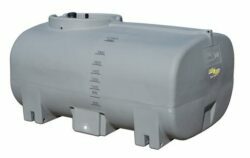 – Available in 800L, 1000L & 1200L tanks. – Digital or mechanical flow meter. – Hose reel, Toolbox, Mine spec. – Sales Inquires; Tel- 0497 051 143 . Between the hours of 08.30 am – 8.00 pm. – Or contact us using the form below. 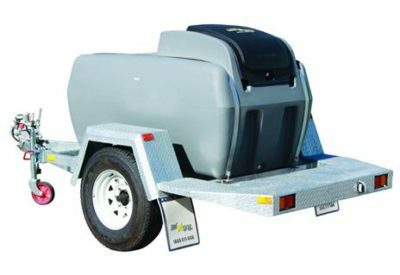 Rapid Spray diesel trailer range have been tried and tested by the Bushfire Store. Diesel Trailers on sale. Available with flow meters, diesel filters, extra hose, diesel hose reels and tool boxes. 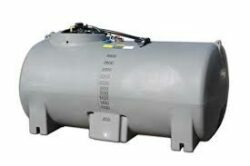 Diesel units ranging from 50 ltr to 10,000 ltr diesel grade polyethylene tanks. Perfect for diesel refueling. storing & transporting. The highest quality diesel trailers made in Australia. Please contact us for more information. Very strong trailer. It has really been built to last. Top quality pump, very reliable.